The Jordan 5, by virtue of Tinker Hatfield's creative genius and MJ's dynamic and vibrant personality, catapulted the Air Jordan line into the 90s and served as a pioneering and trendsetting model for the Air Jordan signature line for a variety of reasons while incorporating design cues from previous models. Like its predecessor, the Jordan 5 utilized mesh panels throughout the upper on both the medial and lateral aspects of the shoe, Nike Air logo on the heel, and a large-volume visible heel air sole unit, a design feature which would be seen in Air Jordans through the 6. 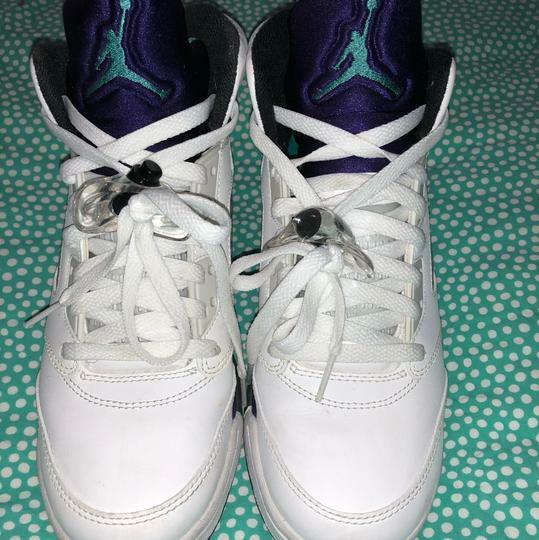 Additionally, the Jordan 5 employed a Durabuck upper, Dynamic-Fit inner sleeve, and a lace toggle for a nice added touch. The 5 also served as a stark departure in Air Jordan sneaker history. 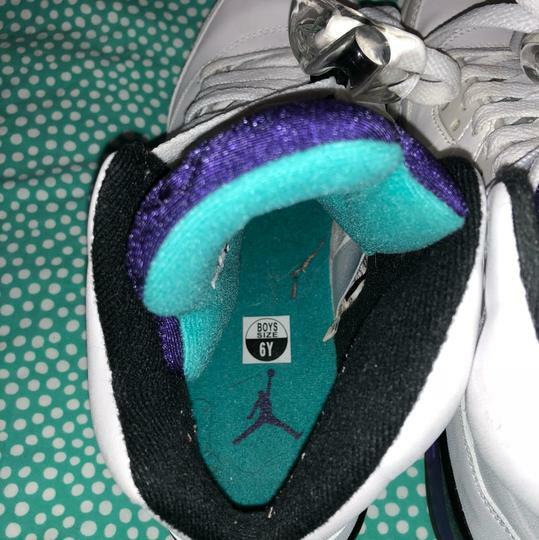 For example, the tongue of the shoe did not include the word "Flight" under the Jumpman logo which was seen previously. Additionally, the Jordan 5 employed 3M reflective piping on the tongue, further adding to the silhouette's sense of flash, style, and pizzazz. Finally, the Air Jordan 5 is also largely known for its use of a translucent outsole, a design first in Air Jordan history, in addition to its "shark-teeth" pattern along the midsole, an ode to the painted nose art of World War II fighter planes. 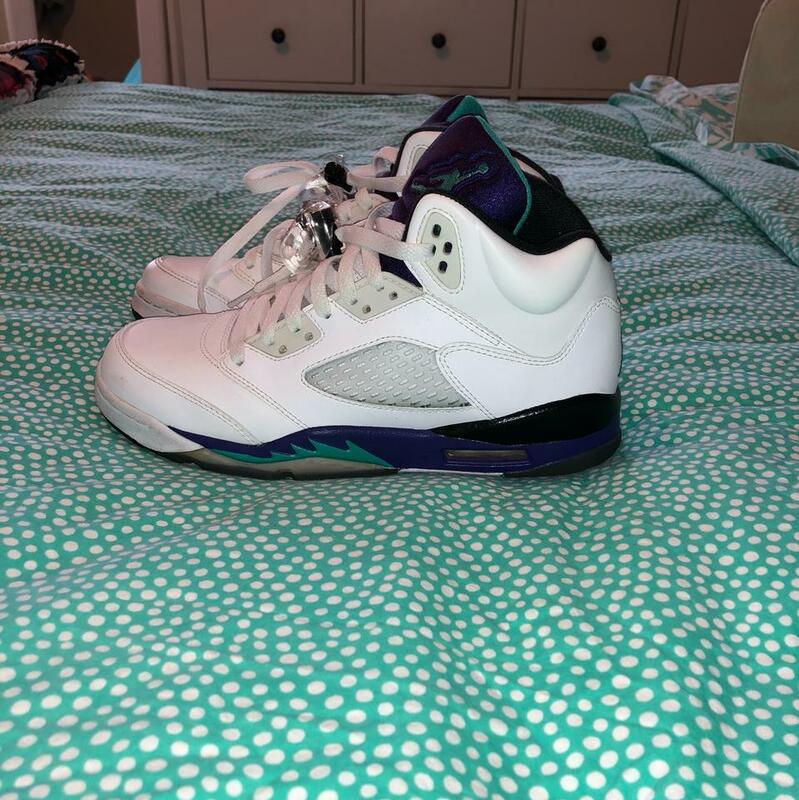 The world, society, and sneaker culture were much different back in 1990, particularly regarding the design process and sneaker technology employed at the time. At the turn of the decade, sneakers began using large-volume visible heel and encapsulated forefoot air sole units, translucent outsoles, intergalactic circular tread patterns, Dynamic-Fit sleeves, higher cut profiles for ankle support, bright, loud colorways, and a variety of designs, materials, and textures, to name just a few of the stylistic cues, differences, and influences of the time in fashion and footwear. Sneakers, both then and now, not only served a function, but also served as extensions of a player's unique, individual, and dynamic personality. This assertion is perhaps best observed and illustrated in the Air Jordan series, the most popular and iconic sneaker line of all-time, with the Air Jordan 5 arguably as one of the most popular Jordan silhouettes of all-time. 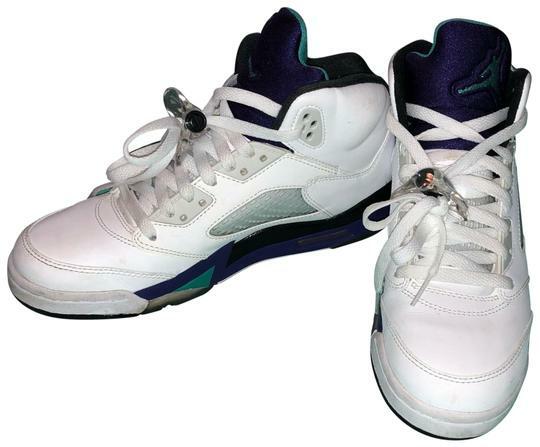 The Air Jordan 5 debuted in 1990 in three original colorways, two of which were worn on the NBA hardwood by Jordan, complete with custom PE embroidery of his #23. 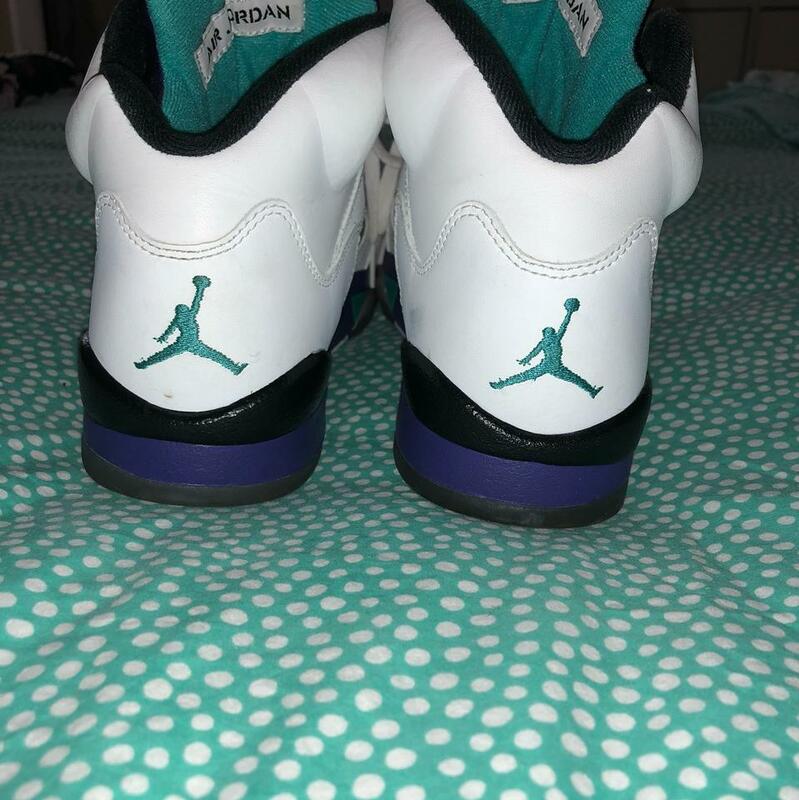 However, the third and final OG colorway, white/grape ice-new emerald, affectionately referred to as "Grape", was seen only sparingly which graced both the cover of a Wheaties Cereal box, Fall 1990 Flight Collection brochure, and on the feet of three legendary early 90s comedians - Jerry Seinfeld, John Goodman, and The Fresh Prince of Bel Air himself, West Philly's finest, Will Smith.